I come from a family of great eaters. We cook – and eat – up a storm over the holidays but I have a cousin who typically doesn’t like what we serve. He’s not one for oysters or clams or herring so we usually buy some sort of frozen appetizer to get him through the first course of Christmas dinner. This year we found some fancy pigs in a blanket things at the grocery store and threw them in the cart. Everyone likes a pig in a blanket, right? Turns out, we were very right. My sister saw the box and wanted one. I’m pretty sure my dad sneaked one off the baking sheet before I had a chance to plate them. Everyone wanted one. 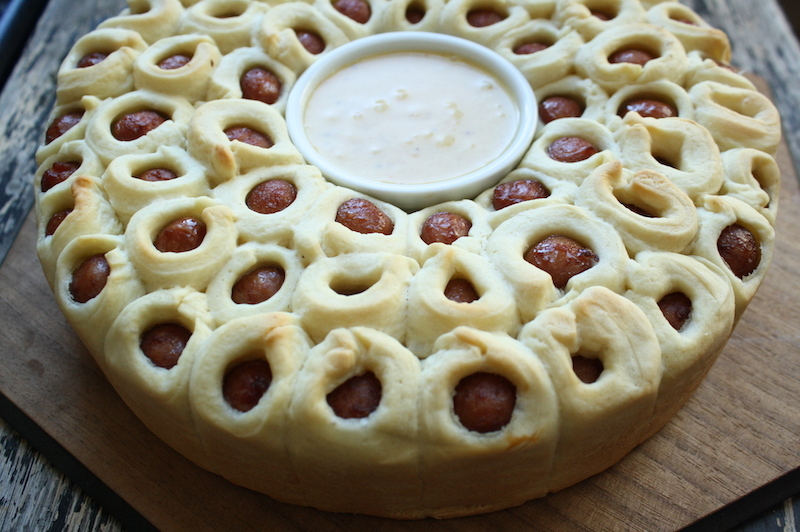 Completely understandable – what’s not to like about mini hot dogs wrapped in pastry and baked until hot and crispy?